The REC holds its General Council once every three years, and the Board of Foreign Missions invited its missionaries to attend. 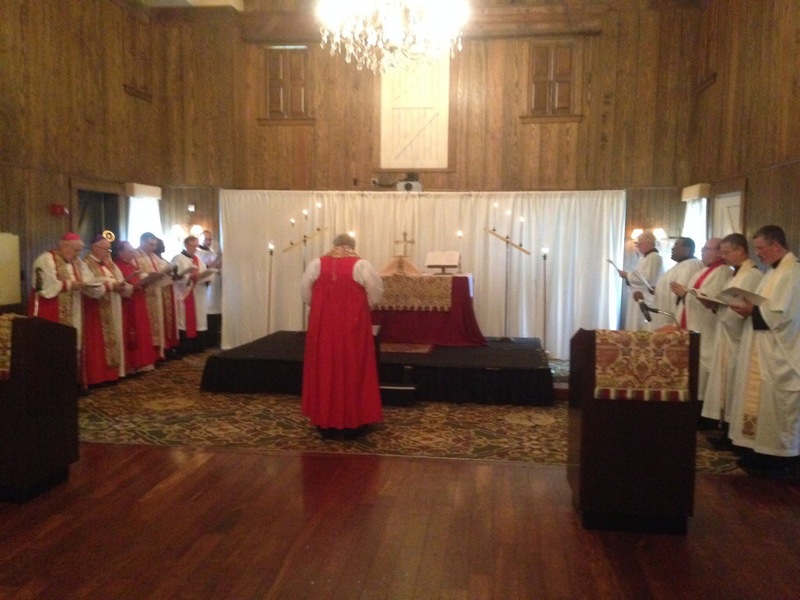 I was able to return to the States and spend a week with our home parish, staying with friends and worshipping together with them. 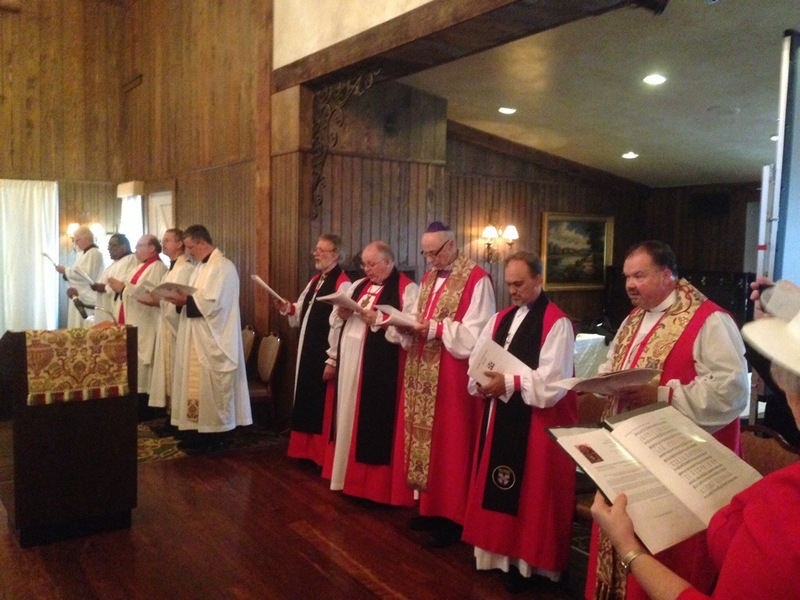 Then the clergy from our parish drove to Blue Bell, PA for the three days of the council. I gave a short presentation about our missionary work, and received many kind comments afterwards. 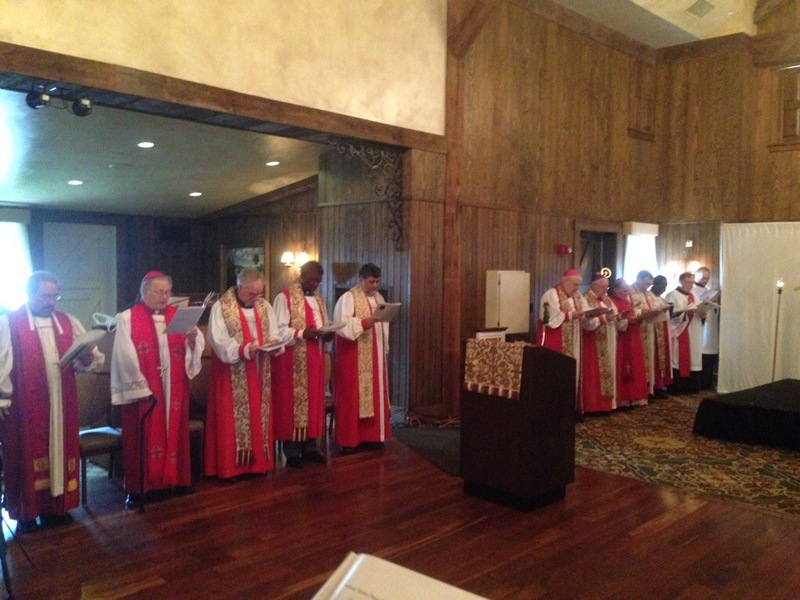 I probably knew half the clergy present, thanks to our whirlwind tour of the Diocese of the Northeast and Mid-Atlantic in 2012. 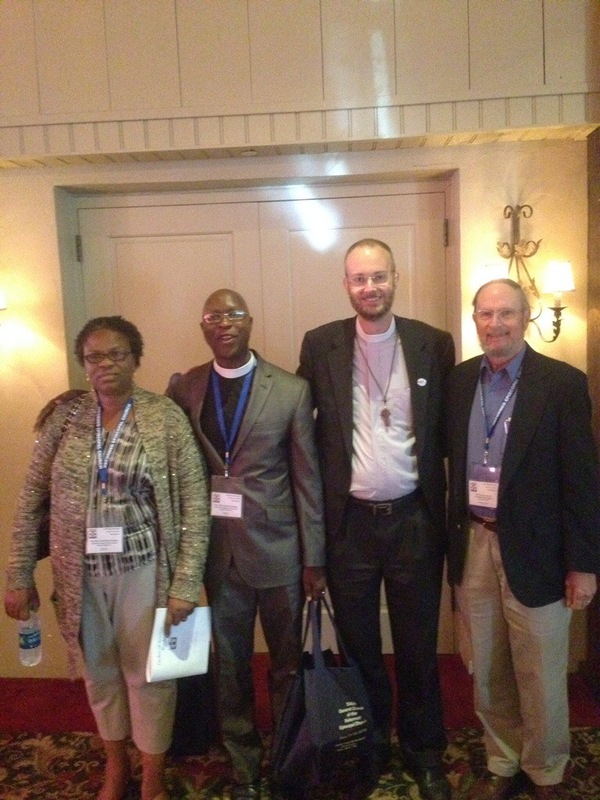 Very many parishes that support our missionary work were represented. I was also able to meet some supporters for the first time, including Deaconess Ruth Creswell and her husband Doug, who have been champions for us and have contributed generously for the rebuilding of the Cumpio Clinic in Leyte. It was a great privilege to be permitted to address the council. It was also great to meet Bp. Jasmin Milić and see Bp. Gerhard Meyer again. The highlight of the council was the passing of the baton from outgoing Presiding Bishop Leonard Riches to newly installed Presiding Bishop Royal Grote. I was tremendously encouraged in our family’s missionary work by seeing so many people who have been become our senders. I really felt like “We are the REC’s special missionaries, and this church is really behind us 100%.” It’s a grest feeling, and it does wonders for a missionary’s morale. I will go back to Davao City on Monday full of encouragement and energy for the work we’re doing. I hope I can pass that on to Sora too! With Canon Bill Jerdan of te REC Board of Foreign Missions, Denise Cox and Stewart Wicker of SAMS, our wonderful missionary society, and Doug Creswell of St. Stephen’s REC in Maryland. 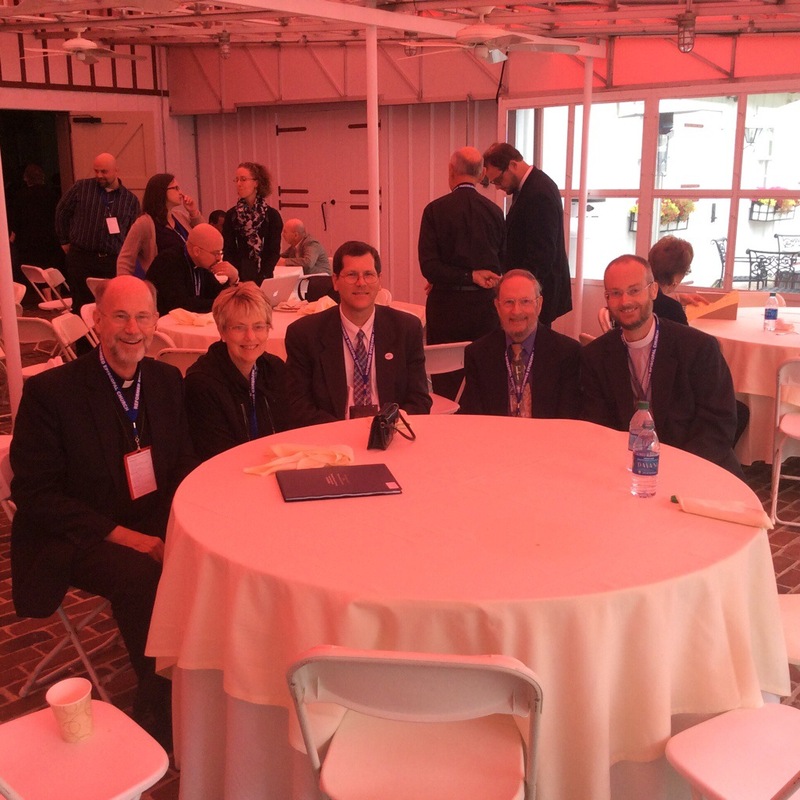 This was after lunch in the “pink porch” where the clergy vested for the opening procession. Bp. Grote also took time out from his demanding schedule to stop by and ask how I was doing, how our family was, and how we feel about our future plans. With Fr. Shola Falodun of All Saints Chicagoland, who is a friend and an unforgettable encouragement to us, with his charge, “You must show them Jesus!” Fr. Falodun arrived at the council just as I was leaving, so it was great to see him.